Exclusive, innovative designs from our independent Graphic Design studio will raise the profile of your business and help you attract new customers. 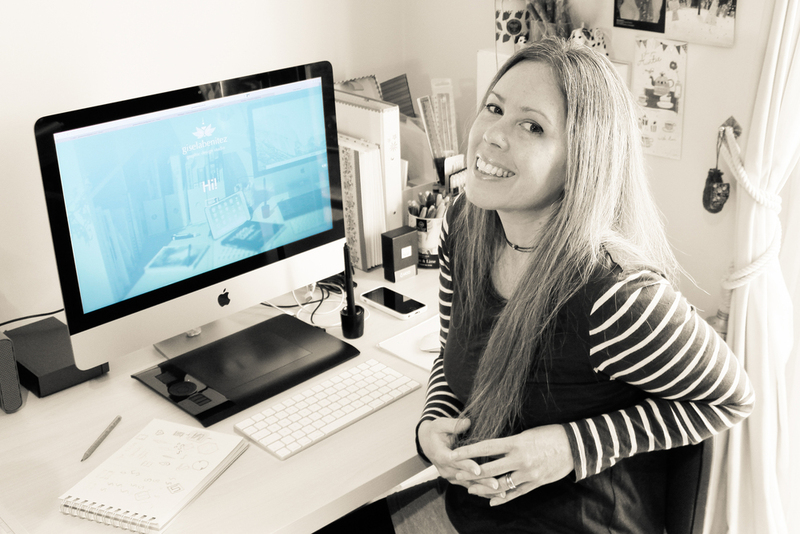 Gisela is a talented, experienced Graphic Designer, Fine Artist and Illustrator based in Bournemouth UK. Our studio was established in 2002. Along with Roberto we bring significant communication and graphics expertise capable of managing different creative challenges to deliver affordable designs and ensure you reach your target market. We work with all kinds of small and medium enterprises producing dynamic, original designs for a range of contexts. With twenty years successful experience, we have built customer confidence in our work. We respond quickly and adapt to tight deadlines to meet your requirements. We work closely with our clients to develop and deliver unique, compelling and immediate visual solutions. From a complete bespoke brand identity or makeover to a small ad, our designs will breathe life into your product or service. Recent clients include: Checkers Academic (UK), Asana Mara Publishing House (CH), Studentwise (UK), Merlo (UK), My Local Mums (UK), Eurostay (UK), Rock Reef (UK), Inroads Commercial Real Estate (US), The Apartment Service (UK). The project with Gisela was very successful for our publishing house. She understood from the first moment our needs and with her first proposal, she excelled our imagination of the product. Copyright © 2019 Gisela Benitez. All rights reserved.